Retouchist.org is the blog of commercial Retoucher, writer and educator Sef McCullough where you'll find in-depth articles on the techniques and culture of Retouching and digital art. From actual tips and tricks, business insights, to interviews with some of the top Retouchers in the world, if you're interested in the field of High End Retouching you're in the right place. 99% of retouched files are going to have a grain layer sitting right at the top. It ties the elements together and provides a unified surface. If you’re doing a little slap-dash compositing, it can really help to hide any soft spots that may have been left behind. The Camera Raw Filter provides much more flexibility with the look of the grain, and you can go back to adjust it later with ease. Here’s how. The classic technique for a top grain layer is with the Add Noise filter on a 50% gray pixel layer set to Overlay or Soft Light. The Camera Raw Filter will give you a lot more control over the quality of the grain, and if you apply it to a Smart Object, you can go back and change the settings later. Start with the standard approach. New pixel layer, Edit>Fill (Shift+F5) with 50% Gray. 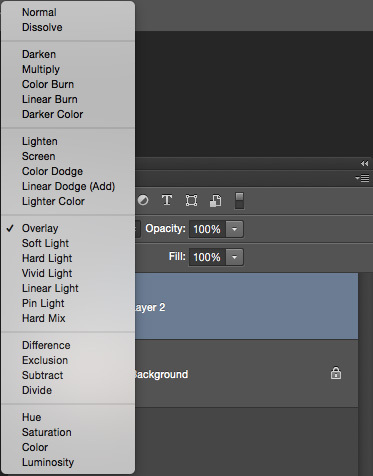 In the Layer palette, set that layer to Overlay, or Soft Light if you want a softer touch. Right click on the layer and convert it to a Smart Object. Drop down Filter>Camera Raw Filter and apply it to the Smart Object. In the Camera Raw dialog, switch to the FX tab on the right side, and increase the Amount to active the Grain. Now, since your pixel layer is a Smart Object, your Camera Raw Filter is applied as a Smart Filter. Double click on it, and you can go back in to adjust the settings whenever you want. Anytime I see a trick to preserve the ability to edit, I'm all over it. Put this one in your toolbox. Comment below if you like this, and how you think it stacks up to other grain methods. Enter your info - I'll let you know when the next article goes up.